New York - If it feels like there are more people riding the subways in New York City than ever before, it’s because that’s true. 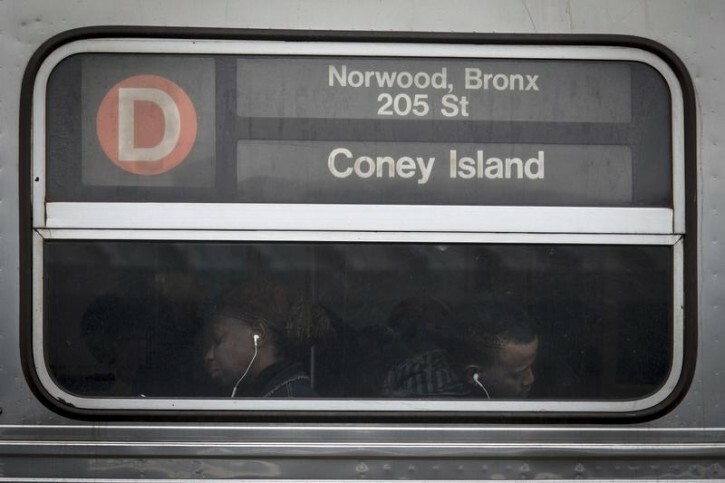 The Metropolitan Transportation Authority says a record of more than 6.2 million people rode the subway on Oct. 29. They say about 50,000 less people rode the subways on the same date the year before. The previous record, which approached 6.2 million people, was set on Oct. 30, 2014. The MTA has been tallying ridership records since 1985. MTA chairman Thomas Prendergast says the agency continues to work to maintain and improve the subway system. the system is dirty, dangerous, inefficient and contstantly breaking down. large numbers of illegals as well take the subway, the Soviet subways are nice, clean and efficient. How about killing those rats scurrying about the tracks. Why is that so hard to do? First time I enjoyed reading one of your comments. Thanks for the good laugh. By the way, during the Soviet era, I was in Moscow for a while and rode their subways - everything you said about them (possibly in jest) was then 100% true. Also, the subway stations were downright beautiful / artistic / architectural gems. The soviets had a series of postcards (remember those) for each subway station, each featuring an artistic highlight - I bought the entire set. Because of your comment, I want to go now hunt for them in storage, and show them over Shabbos to the grandkids. I've been on the subways in Boston, Toronto, Montreal, London, Paris, and Madrid, as well as NYC. All of the former subways (with the exception of NYC), were much cleaner than the filthy and disgusting NYC subways. I had to depend on the NYC subways for many years, both to school and to work. I'm very grateful that I don't have to ride them any longer. I never enjoyed the crowded trains, with the pushing and shoving, lack of air-conditioning in the summer, and the lack of adequate heat in the winter. Also, the crazy motormen, would jam the brakes on, and the conductors who would close the doors on people. In addition, the extra loud announcements on the public address systems which would make people deaf, were also most unpleasant. In 1966, I survived a two week subway strike. I took a Carey bus from Brooklyn to JFK, and boarded a NY Airways helicopter, which flew me into Manhattan in seven minutes! There were cops who used to ride the trains from 8PM to 4AM. They were also at every station, during that time period. However, the dumb officials removed them in 1974.